Last Assignment for Primary 3 students in the 3rd term is a recycle project, make weaving basket. 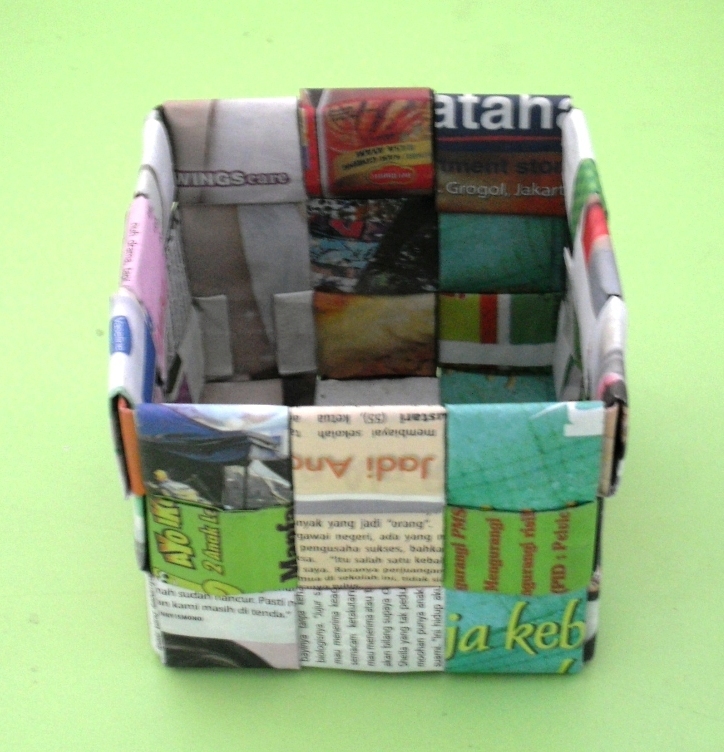 They can create the basket from used newspaper or tabloid. Well… colourful tabloid paper will make their basket look nicer. Here is the process on how to make the basket. They have to cut the newspaper into 4 parts. The size is approximately to 29 x 35 cm. Fold each part to make a thin shape of paper, 3,5 x 35 cm. Make 6 of this, and add 3 more which has to be longer than the other (about 45 cm long). Weave the 6 shorter folded paper to make the base. Continue weaving with the longer paper to make the side part. Apply a little bit of glue when needed. Insert the extra paper in between the weaved paper. Tidy it up. There, and your woven basket is ready to be used as a multi-purpose box. This is only the basic thing but actually you can adjust the size and shape as you like. This entry was posted in How to... and tagged artwork, craft, Primary, recycle. Bookmark the permalink.